A bit different than my usual, but I had a lot of fun doing this one! Whoa, did they approve this? this is awesome and love the band too. timofeie said: Whoa, did they approve this? this is awesome and love the band too. Thank you! No, I just did this for fun because they're one of my favorite bands. A friend just hooked me up with their contact though so I'm going to send it over and hope for the best. deekin said: This is rad! Always love how you detail your illustrations - this is solid! crossing fingers that this gets approved dude! You already know I love this. This is awesome. More, please. any news? daym i seriously need that shirt. timofeie said: any news? daym i seriously need that shirt. 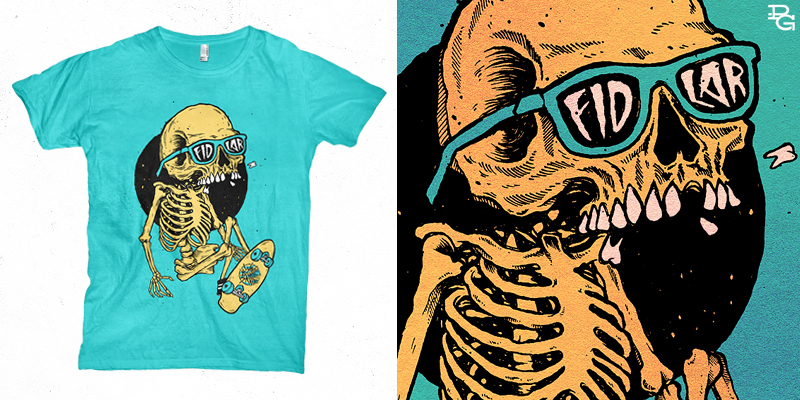 Unfortunately FIDLAR never got back to me so I sold the design to The Horror Project! I haven't been told when they're releasing it though. Glad you dig it!